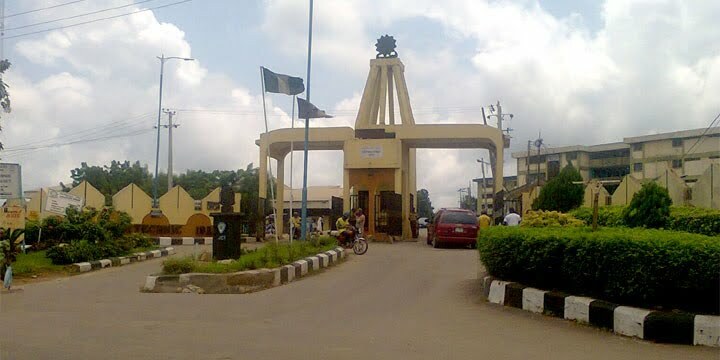 The Acting Rector of The Polytechnic Ibadan, Femi Ipadeola, has urged the newly admitted students into National Diploma and Higher National Diploma programs to uphold the institution’s historical pedigree. The Acting Rector gave the advice at the matriculation ceremony of the institution which was held in Ibadan on Friday and which marked the commencement of the 2018/2019 academic session of the polytechnic. Ipadeola said the institution, which was founded forty-nine years ago, had produced leaders in the country in all facets. He advised the newly admitted undergraduates to build on the good legacies of the institution. “We have a strong pedigree and all of us have the responsibility to preserve that pedigree. I believe that we have carefully selected the best applicants from the pool that JAMB sent to us and we are confident that you will make us proud. “It is important to ask yourselves this question everyday you wake up; Why am I here?. You are here to develop yourselves robustly and the syllabus is one of the ways you have to develop yourselves. “The second reason is to build a strong network of contacts as your greatest asset in life is your social capital; ensure you do that while you are here and don’t move with laggards who are going nowhere. “The third reason you are here is to contribute to this institution. Hard work and diligence will make you stand out in life and to make your mark. These three fundamentals matter; what you know, who you know and what you do,” the Rector stated. The Rector added by encouraging the new students to engage in sports and other social activities recognized by the institution for robust development.